Ahhhh, can we just take a minute to appreciate how festive this week's collage looks?!? I mean, look at that beauty. Apologies for the radio silence this time last week, I didn't have a lot to report other than 7 days spent doing uni work, the BEST roast potatoes I've ever made and a house party. 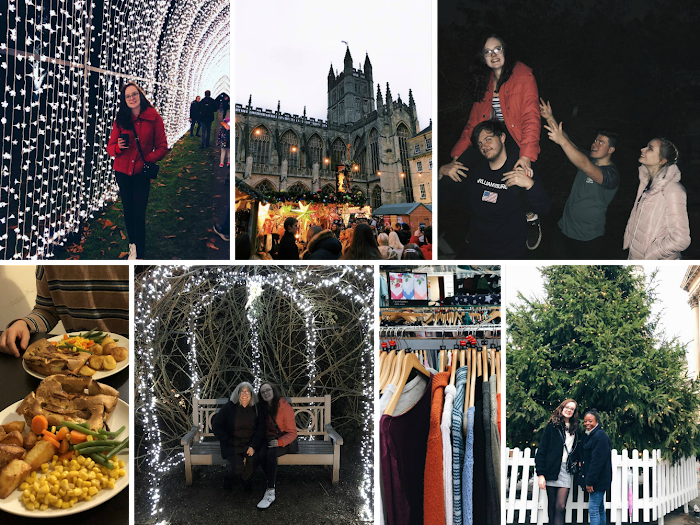 This week also featured lots of uni work, roast potatoes and a couple of house parties, but also a bloggers event, Black Friday, Christmas markets and a bloggers sleepover on top. So, yeah, this could potentially be the busiest Sick Tings Post to date. This week two of my best friends turned 21 on consecutive days, so it's unsurprising that a couple of house parties were in order. (Also, shall we just talk about the sheer coincidence of having 2 birthdays in the space of 2 days in a group of four friends - what are the chances of that?!). This was really good fun. We don't have any lectures together this year so it was really nice to see them and catch up. Ahhh, Black Friday... My Mum and I spent the day wandering around West Quay along with the other 184739482 keen shoppers, picking up all sorts of bargains. What was supposed to be a shop for Christmas presents ended up as a Becca buying herself things kinda trip, oops. (I posted my best Black Friday bargain over on Twitter, here, if you'd like to have a nosy.) That aside, I also picked up a few more wintery pieces including a jumper that I've had my eye on for ages. Hooray for not buying it at the time and getting it for half price now. On Friday evening I was lucky enough to be invited to Beaulieu for the opening night of their Christmas trail. I took my gorgeous Mumma as my plus one and we had a really great time. We started the evening by having a cream tea in the cafe before heading for a wander around the grounds. There were lots of different things to see and do, and so many gorgeous Christmas light fixtures. It was a really lovely evening and we both left feeling all kinds of festive. This weekend has been spent wandering a Christmas market and shooting Christmas content with Fran. 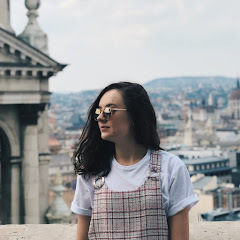 She came down from London to spend a few days with me here in Southampton and have a blogger's sleepover. On Saturday we visited Bath for a wander of their Christmas markets, which, considering it was the opening weekend, was potentially not the best of ideas - there were people EVERYWHERE. It was, however, really really pretty and I had the tastiest salted caramel white hot chocolate. We spent our Sunday shooting Christmas content so get ready to see allllll the Christmas posts between now and December 25th. I have a couple of major deadlines for uni this week so my Sunday afternoon has just been spent doing work ahead of submitting those. It's all about balance my dudes, work hard play hard. What's your favourite Christmas market? Did you pick up any bargains in the Black Friday sales? I'm glad you and Fran had a nice time in Bath, I'd love to visit the christmas markets there!